In 1975 the communist Pathet Lao took control of the government, ending a six-century-old monarchy. Initial closer ties to Vietnam and socialization were replaced with a gradual return to private enterprise, an easing of foreign investment laws, and the admission into ASEAN in 1997. 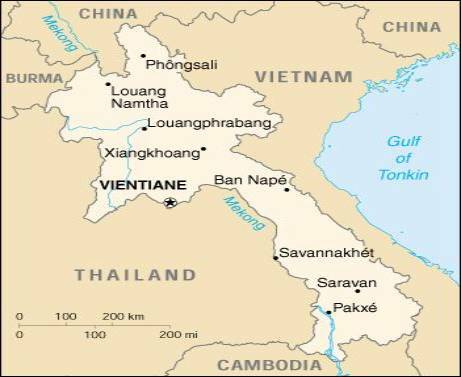 The government of Laos - one of the few remaining official communist states - began decentralizing control and encouraging private enterprise in 1986. The results, starting from an extremely low base, were striking - growth averaged 7% during 1988-97. Reform efforts subsequently slowed, and GDP growth dropped an average of 3 percentage points. 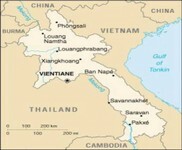 Because Laos depends heavily on its trade with Thailand, it was damaged by the regional financial crisis beginning in 1997. Government mismanagement deepened the crisis, and from June 1997 to June 1999 the Lao kip lost 87% of its value. Laos' foreign exchange problems peaked in September 1999 when the kip fell from 3,500 kip to the dollar to 9,000 kip to the dollar in a matter of weeks. Now that the currency has stabilized, however, the government seems content to let the current situation persist, despite limited government revenue and foreign exchange reserves. A landlocked country with a primitive infrastructure, Laos has no railroads, a rudimentary road system, and limited external and internal telecommunications. Electricity is available in only a few urban areas. Subsistence agriculture accounts for half of GDP and provides 80% of total employment. For the foreseeable future the economy will continue to depend on aid from the IMF and other international sources; Japan is currently the largest bilateral aid donor; aid from the former USSR/Eastern Europe has been cut sharply. belongs to the "underdeveloped countries"